A bunch of tameable creatures with exciting, previously-unseen looks are available in Patch 7.3.5! Click on an image to see the individual NPCs that have that look. The crested basilisk model may be a little older, but there's still something special about it. 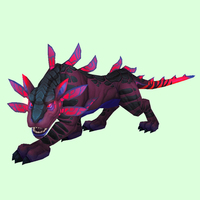 One of only three remaining unused colour combinations is debuting in 7.3.5 - on the newly-added Crystal Spine Matriarch, on Yojamba Isle in the north-western corner of Northern Stranglethorn. 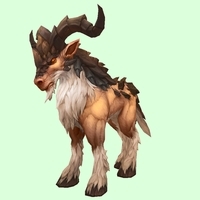 If you find a tameable one of these please report it on our forum! 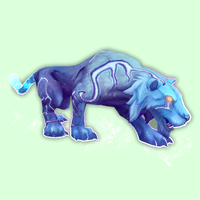 Hunters have longed to tame a red panthara since Argus first appeared. In 7.3.5 they'll finally be able to! This appearance is used by a single new NPC in Krokuun - the Ancient Duskcloak - located at the back of the Grove of Naroua. 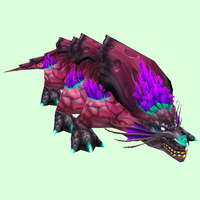 The gorgeous pink-and-white mana ray is being added in 7.3.5. 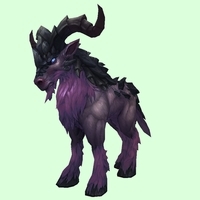 It occurs on Albino Umbralfins, which spawn in north-western Mac'Aree, amid the regular Umbralfins. Exotic Family: Beast Masters only. 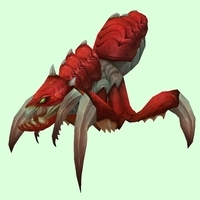 This new, high-quality Silithid model may be found in Silithus in 7.3.5, but only after you've completed the Antorus raid. 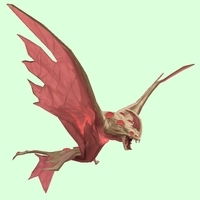 Currently only the red is tameable - on Silithid Sentinels which patrol the sites of the three old hives. The other three colours are used by special NPCs located around each of the three hives, but none are currently tameable. 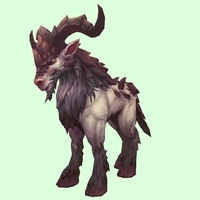 Hopefully we'll see tameable versions of these soon.